I grew up in the furthest thing from a traditional New Orleans upbringing – cooking wise, at least. Sure my brothers and I grew up comfortable and we always ate well. My mom prepared great home cooked meals every Monday through Thursday (and there were no red beans and rice served on a Monday); she prepared giant spreads for the holidays (including the most homemade cookie varieties ever) and was never afraid to experiment with new recipes. We were fed fast food and Happy Meals on Friday’s, Chinese food on Saturday’s, and pizza every Sunday night. At that time, in the mid-80’s, we were allowed to roam the neighborhood. Behind the houses that lined one side of our street were woods; at the back end was the huge community center, Heritage Park, with soccer fields, baseball diamonds, trails, and the library. In the summer, my friends and I wore camouflage and played war in the woods or rode around the baseball diamonds. And it wasn’t uncommon for me to ride up to the library and check out some books. The neighborhood was safe and I could go anywhere as long as I was home by 5:00 to get ready for dinner. Then there was that one place in the neighborhood that was not safe: our kitchen. The kitchen was mom’s spot and if she was cooking… you get out. The meals were always served at the kitchen table and we always ate together and talked about our day (except on Sunday’s when we ate on the couch in the living room and could watch TV). But if she was preparing the food and you hung around the kitchen too much, she’d tell you to leave. That was my experience in the kitchen growing up – you get the hell out if you want dessert. And that’s why my upbringing is different than so many from south Louisiana. I’ve been reading celebrity chef Kevin Belton’s cookbook, Big Flavor’s of New Orleans (published in 2016 by Gibbs Smith). It’s a great book full of amazing recipes and stories. In his introduction, he talks about how the kitchen was the heart and soul of the house and how they rarely ate out. Now, I know that this isn’t the same story for everyone that grew up in the Crescent City. But there are a lot of stories like this that come from south Louisiana (and various other spots around the country) and I’m trying to build this food culture with my kids. To understand New Orleans food you have to understand that its story comes from the homes and not the restaurants. Unlike everywhere else in American, those New Orleans home cooked meals set the standards for what’s being served in the restaurants – not the other way around. 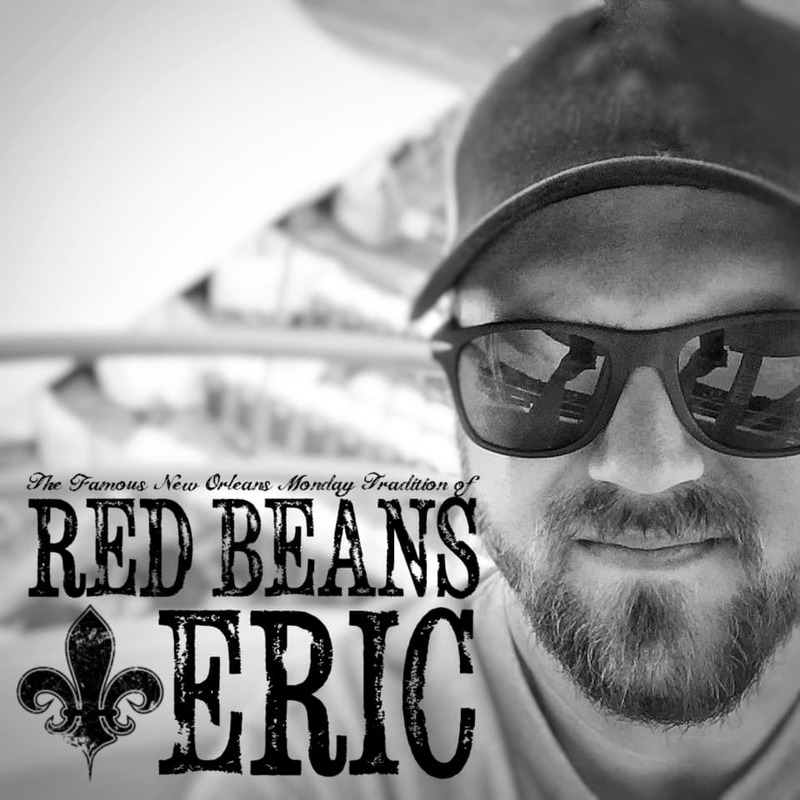 The cooks and chefs that work at the restaurants are bringing their own food culture and food history from their upbringing and infusing that into what they cook and that’s what makes New Orleans food so special and different from anywhere else. Every major city in the USA has a big-time chef with a restaurant that serves some amazing food; along with a dozen or so other restaurants that are identical. Not in New Orleans. And that’s why the food, the culture, and the people are so special and that’s why I love New Orleans. It’s not just the food; but also the stories and the history and knowing that the kitchen was the heart and soul and children were invited into it and learned the traditions and culture and recipes that were passed down from generations. Their kitchen was a place a family came to cook together and passed down more than just a list of ingredients and cooking methods. Though I grew up far away from New Orleans (about 1055 miles away to be exact), I’ve always felt a connection to the city and have always felt that its city limits have always stretched out to reach me. In my time cooking, I hope that I’ve created that food culture and tradition and welcoming environment to my house’s kitchen. Perhaps one of my kids will grow up to be a chef and relive some memories of growing up in the kitchen with a father that loved to cook red beans and rice on Monday’s, experimented in the kitchen, and always tried to include them in the cooking process. Perhaps it’s already working. On Monday, my family and I sat down to eat dinner at the kitchen table. My wife and I had red beans and rice (see recipe below); the kids usually get something different but will usually try a bite. My oldest, Lucas, had a bite, then wanted another. He wanted more. He had tried my Best. Ever. Red Beans. and Rice. recipe before but never asked for another bite and asked for me to make it again for him. But this recipe, he loved it and began to ask questions about it. He took another bite of the red beans and rice, licked his lips, and with a smile, asked for me to make this red beans and rice recipe from now on. What was also great, was the following weekend we went to a bookstore (seek out 2nd & Charles if you have one near you. They offer an amazing selection of used books) and he wanted to look at the cookbooks for kids. There was a small variety to look through and he flipped through every book. We found some recipes that he wants to try and make along with a deeper curiosity for the kitchen. We may not have that traditional New Orleans upbringing, but we have a New Orleans style of heart and soul that fills our kitchen. My kids love NOLA just as much as I do; and after going there a couple of times, they not only understand what it means to miss New Orleans, but they are realizing how important red beans and rice are on a Monday night. There’s a food culture establishing here and it’s fun to watch as everyone grows with it. What are your memories around the kitchen as a child? Did you have a similar experience to Chef Kevin Belton’s New Orleans upbringing or one like mine where you stayed away? Let us know in the comment section below. Red Beans and Rice with Heart and Soul of New Orleans is the Monday recipe that my family loves. The creaminess of the red beans will make you think that you're sitting down at a table in Southern Louisiana. Heat the olive oil or bacon fat in a large pot over medium-high heat and cook the trinity (onions, bell peppers, and celery) until the onions have become translucent; add the garlic and continue to cook, stirring, for an additional minute. Add the dried parsley, thyme, basil, oregano, sage, cayenne pepper, and white pepper to the trinity and stir everything together. Pour the chicken broth into the pot; add the red beans, ham hock (or bone), and the bay leaves to the pot. Bring the broth to a boil, then lower heat and cover the pot. Let the beans simmer for one hour, stirring occasionally to make sure that the beans do not stick to the bottom of the pot. After one hour, remove the lid and continue to simmer the beans for an additional 2-3 hours and the beans are tender and at the consistency that you prefer - add water or more broth, as needed. Remove the ham hock (or bone) from the pot and take off the meat from the bone. Chop the meat into smaller pieces and return to the pot. Add the shot of hot sauce and adjust the flavor of the beans with salt and pepper. Serve the red beans in bowls with hot white rice and garnished with green onions. *The premium rice I used is a great family owned brand from Crowley, Louisiana named Supreme Rice. They have been in business since 1936 and operate the largest rice mill in Louisiana processing over 1 billion pounds of rice annually to over 50 countries. The rice isn’t premium in the sense that it’s expensive. This is supreme in that you can really taste the difference compared to other varieties of rice. I’m not getting paid to say any of this but they did send me some samples of their long grain white rice and brown rice to try and I absolutely love it! They may be sold in 50 countries but they are sadly not sold in all 50 states. That needs to change. Be sure to ask your grocer to start carrying Supreme Rice. For now, you can only order Supreme Rice from CajunGrocer.com. For more information on Supreme Rice, please visit their website at http://www.supremericeusa.com/. I love the story! When my children were small, I was much like your mom and then one day I realized that if I wanted them to be able to cook for themselves, I had better change my outlook. Haha. They all know how to cook now and two of them really enjoy it! In our home, the meals set the standard for how meals should be in restaurants as well. Sadly, far too many of them fall short. So much so that we hardly enjoy eating out. Anyway, thanks for the post! I can’t wait to try your recipe! Thank you! I appreciate the comment! Let me know what you think of the recipe if you make it. You’ve woven such a marvellous story about beans and rice of all things, that I’m saving this to start later. I am surprised to see that you aren’t soaking and draining the beans though to get rid of much of the lectins. Strange isn’t it, that the red beans that you’re using can be so delicious and so good for you, unless they aren’t thoroughly cooked. Did you know that munching on raw red beans can poison you? I was shocked when I learned that. But besides that, love your recipe and I’ve saved it to veganize later. Your choice of spices sounds wonderful and a little bit of liquid smoke will take care of the rest of the flavouring so I’m really looking forward to trying it. Thanks. Thank you very much for the comment, Debrah! I do sort, soak, and drain the red beans before cooking. It’s a must, for sure. I hope you enjoy the recipe and I’d love to hear how your vegan version turns out! To get that smoky flavor, a little bit of liquid smoke helps out. I love any rice and bean dishes, can’t wait to try this recipe! I hope you enjoy! Thanks for the comment! New Orleans is one of my favorite places to visit!! Looks Yummy! 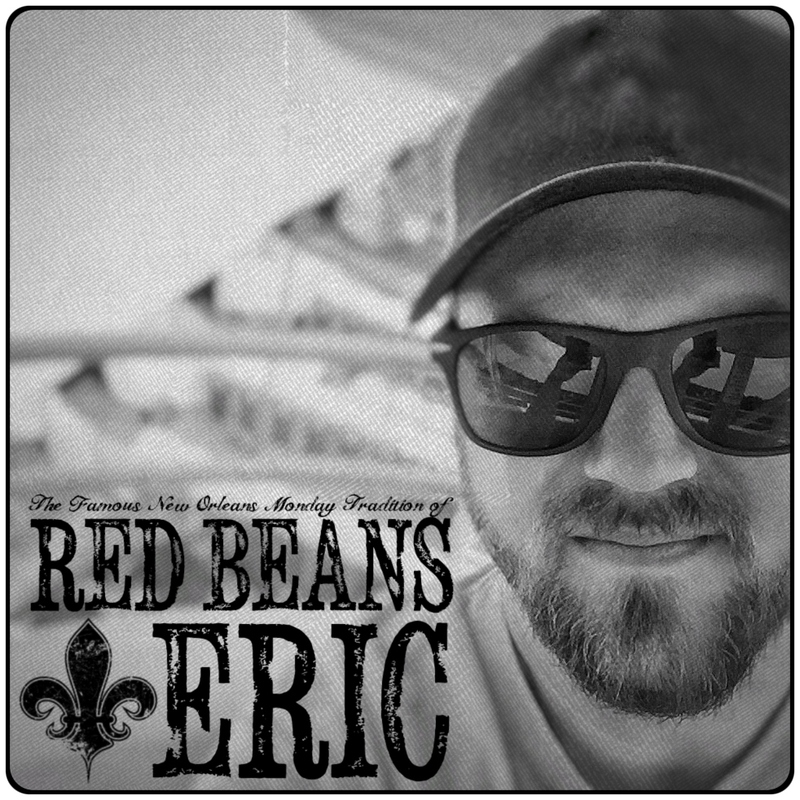 Never been in New Orleans, I like your pictures, your article and the red beans too…usually I made Tacos or Chili with carne but I want try your recipe in some cold day, looks amazing! Yum! I have been looking for a recipe like this! Thanks for sharing! Can’t wait to try this. I’m on the gulf coast and my wife is from south of New Orleans, but we love red beans and rice and do it up all kinds of way. This looks delicious for sure! Thank you! I hope you guys enjoy the recipe.